The winner of a nationwide garden photography competition that was open to professionals is an amateur who only took up photography seriously a few years ago, it has emerged. Linda Wride from Oxford beat 2,000 other entries to take the 2009 RHS Photographer of the Year title with an image taken at her local allotments, as part of a project called Cultivating Communities. 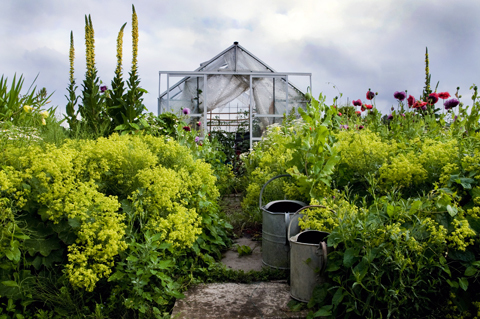 ?The poppies, verbascum and alchemilla jostle for space outside the greenhouse where tomatoes are thriving in the warmth,? said Linda who has pursued photography seriously since 2007. Linda told Amateur Photographer (AP) she was thrilled when she heard of her victory. ?I was a category winner last year so I was hopeful I would win something this year. But to be the overall winner was beyond my wildest dreams,? she said. Linda, who works for a government agency, added: ?Photography is my creative outlet.? She has pledged to donate her £1,000 winnings to her local Allotments Association. Meanwhile, the RHS Young Photographer of the Year title was awarded to Tom Flathers, 18, from Upper Sapey, Worcester. The 2010 contest opens on 1 April.